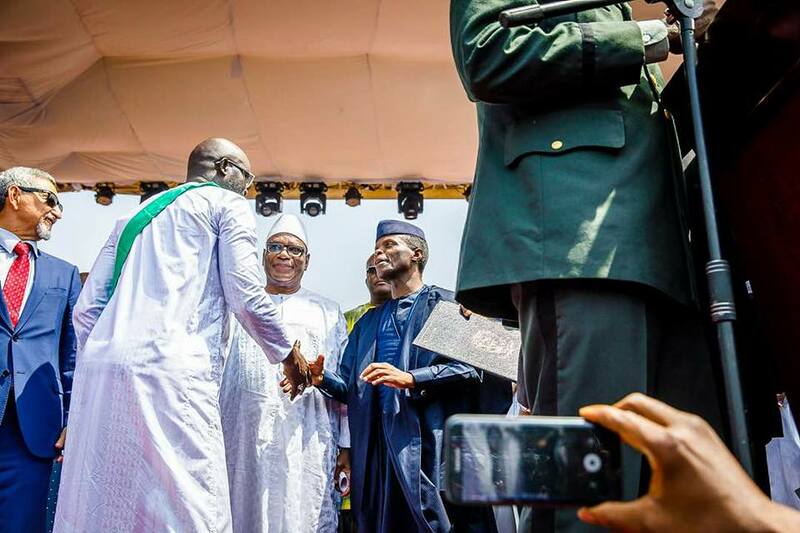 Current Vice President of Nigeria, Yemi Osinbajo was at Liberia to represent President Buhari at the inauguration of former footballer, George Weah as the new Liberian President. George Weah was inaugurated as the 24th president of Liberia on the 22nd of January. 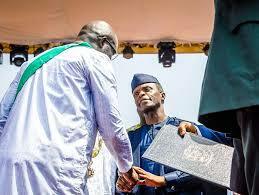 He took his oath of office at exactly noon inside the 35,000 capacity Samuel Kanyon Doe Sports Complex in Monrovia. 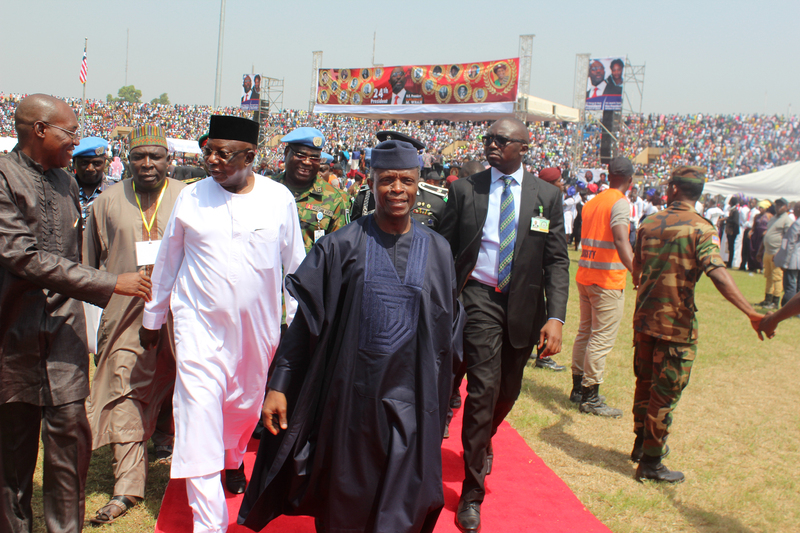 President Muhammadu Buhari was represented by Vice Present Yemi Osinbajo and atleast other 8 African head of states were present at the inauguration.